We are going to will cooler weather around here with all the FALL activities! Fall activities are our favorites and we wish the season would last longer. We like to start off early Fall with apple activities and save the pumpkins for October! 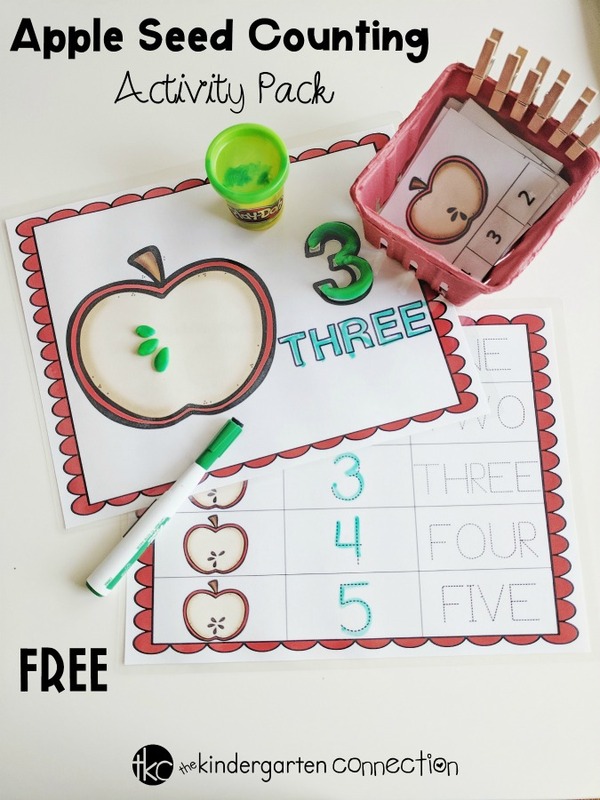 This Apple Seed Counting Activity Pack includes three different no-prep activities that will get you excited for Fall! 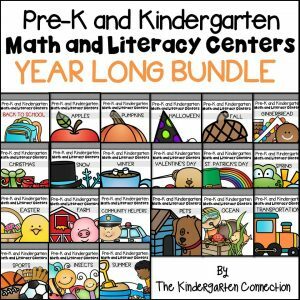 This activity pack is suitable for pre-K and Kindergarten students. 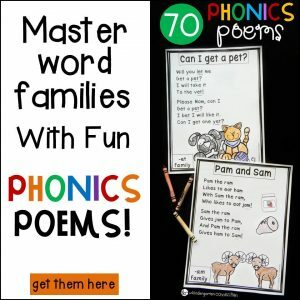 It is perfect for homeschool or traditional classroom. 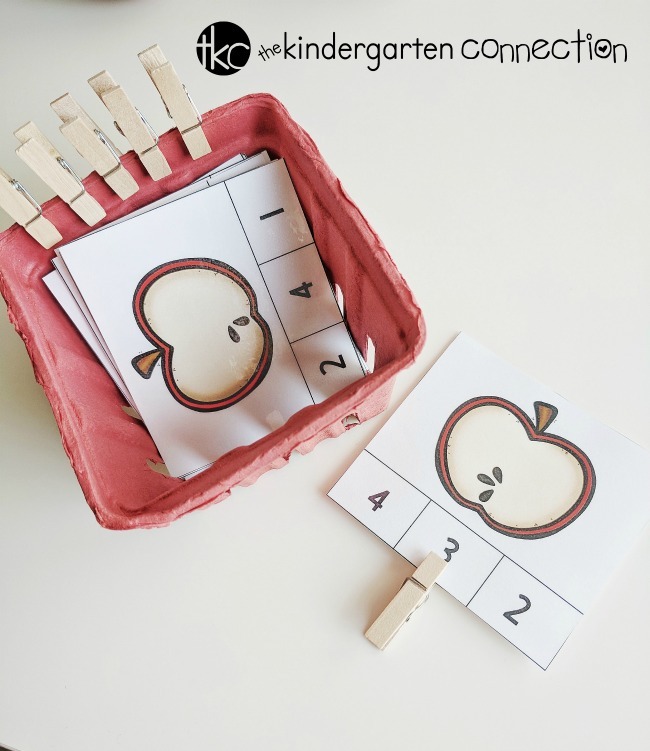 You can use these activities in small groups or your math center. You’re gonna “fall” for the 3 activities available in this FREE printable pack! The first activity in the pack is a ten page play dough mat set. 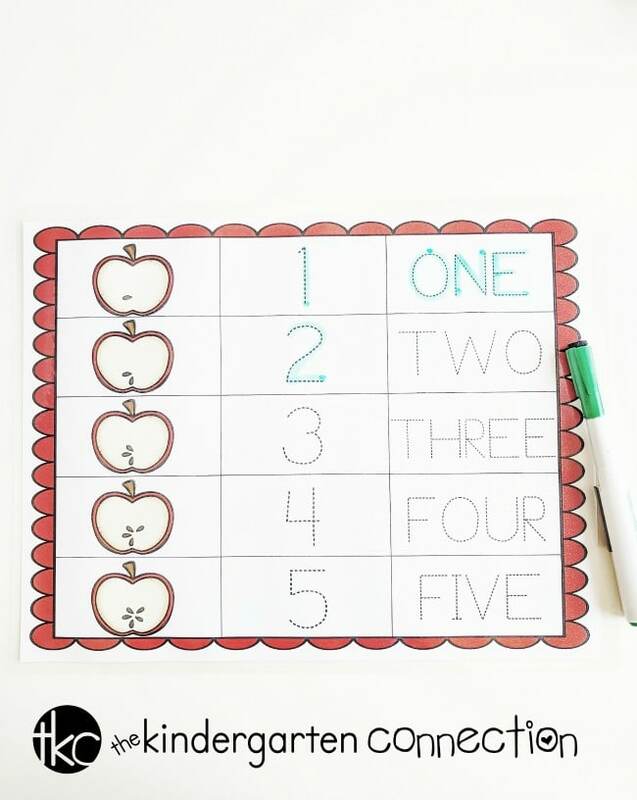 Each page has a blank apple, a number and the number word. We decided to laminate our pages to make them more durable. 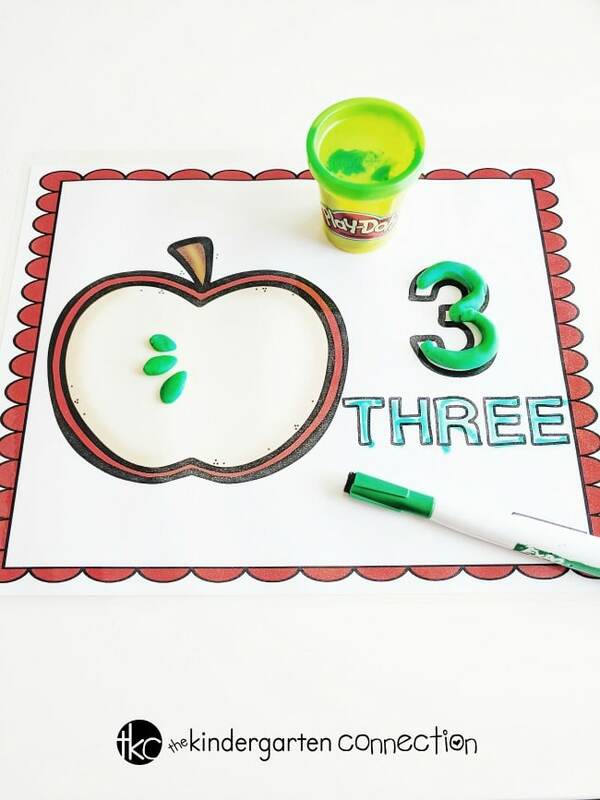 You can count “seeds” and create the numbers with play dough. Wouldn’t it be fun to make some fall-scented play dough to go along with this activity for next time! 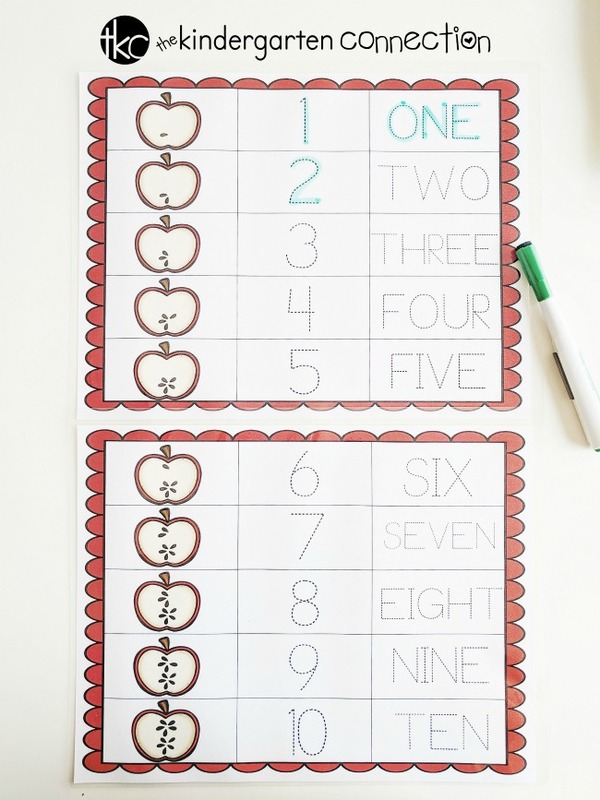 You might also want to use a dry-erase marker to write the numbers! The second activity in the pack is a count and trace for numbers one through ten. 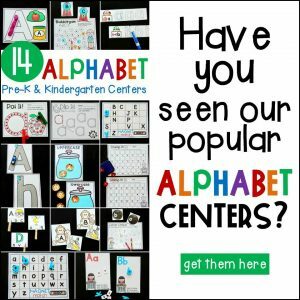 We really enjoyed this easy activity! Simply count the seeds and trace the number and number word! This was very helpful in number and number word recognition. Our favorite dry-erase marker to use are washable and also have a mini eraser attached to the cap! The last activity, and our favorite, are these mini counting clip cards. This was a wonderful way to work on number recognition as well as fine motor skills. Once you cut the mini cards apart, your child or student can count the seeds and clip the correct number! We are on the hunt for some fall themed mini-erasers that would be perfect for covering the correct number as well. I hope this gets you excited for all the fall activities that are to come! We are just getting started over here, happy counting! 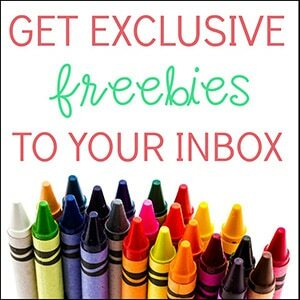 You can grab this FREE printable by clicking the large, yellow button at the very bottom of this post. 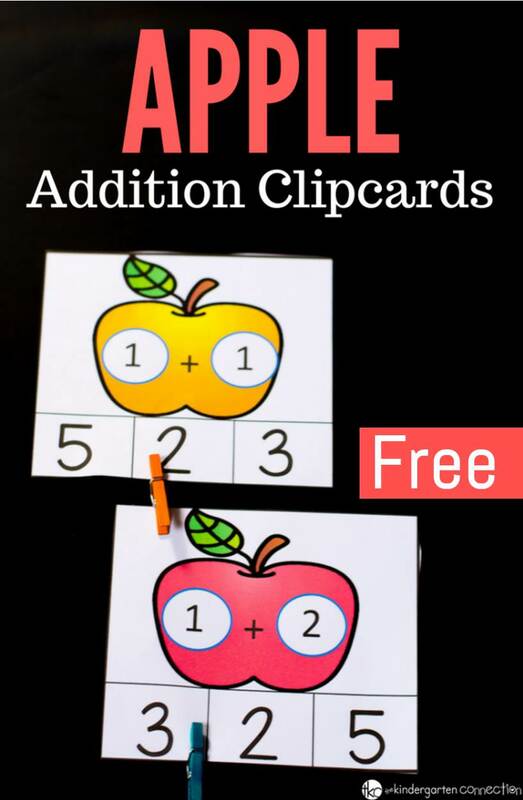 Then hop on over to see our Apple Addition to 5 Clip Cards!